Organise a Web Conference to share your screen, presentation or powerpoint. If you need to install the Zoom Launcher (particularly if your Zoom account is new) you can follow the installation guide here. 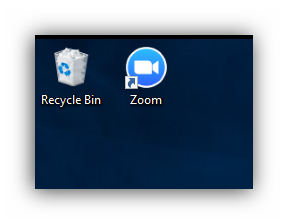 The first step to starting your Zoom meeting is finding and opening the Zoom Launcher. You can do this in a number of ways. You can search for ‘Zoom’ from your desktop. You may have created a ‘Zoom’ Shortcut on your desktop. 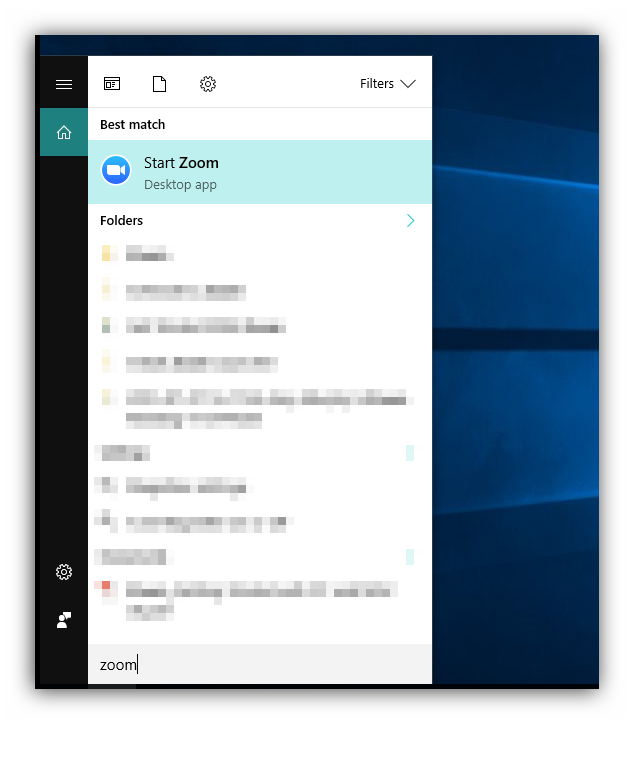 You may have pinned the ‘Zoom Launcher’ to your taskbar. You can go to 247meeting.zoom.us to launch a meeting, which will prompt the Zoom Launcher to run. If this is your very first Zoom meeting and you haven’t yet installed the Zoom Launcher you will need to do so as described here. 2. Select the style of Zoom meeting you wish to Host. 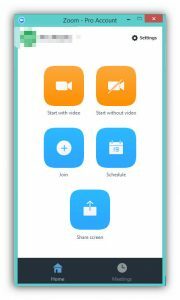 Once the Zoom launcher is running you can select to host a Zoom meeting with or without video, schedule a meeting or join a meeting. 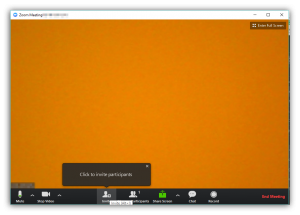 For the purposes of getting started with a Zoom meeting, we recommend ‘Start with video’. 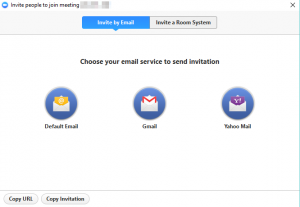 In order to join you on your meeting, your Guests will either use a unique URL or a unique Meeting ID. 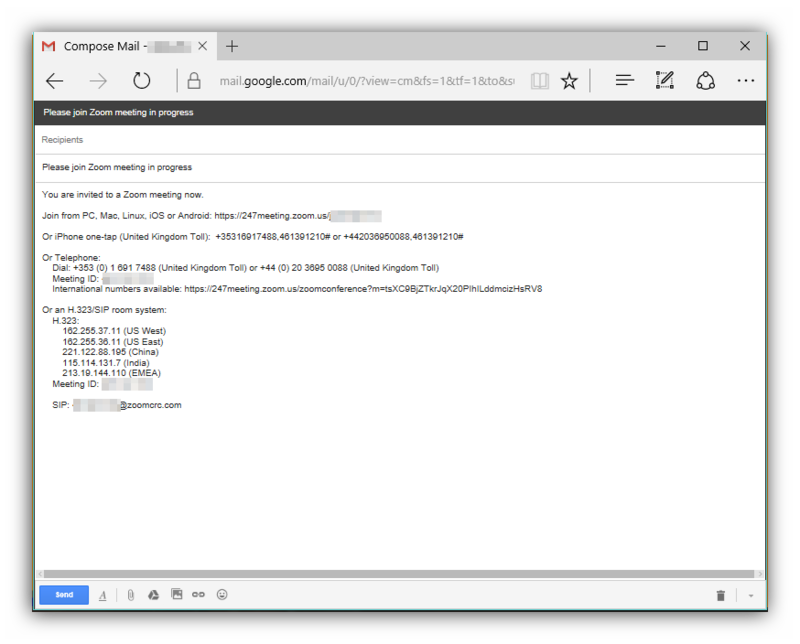 To send this information to them Zoom will give you the option to send a pre-generated but editable email, or you can copy the direct URL to send to your Guests however you choose. In order to access these options click on the “Invite participants” button once the meeting has launched. Once your guests have joined you on your meeting you have successfully gotten started with Zoom.